When this story began, Ralu Tarcea was still living at "Hotel New Hampshire," Valer Şuteu had yet to arrive to begin his MBA program at Plymouth State University, and Roxana Fera was still teaching in Hangzhou, China, and working to get a student visa to come for graduate school at PSU. It was the late spring of 2011. I had never seen Panama, Alaska, or India. It seems ages ago. I am now, in the late summer of 2012, in the final stages of having three upper front teeth replaced with titanium implants, custom gold abutments, and porcelain crowns. The job is being done at the Goldman School of Dental Medicine at Boston University. They have done a wonderful job so far, and I cannot say enough positives about the work done for me there. The periodontal work by Dr. Konstantina (Tina) Thomadaki was outstanding. When I met her over a year ago, I had two broken teeth at stations 8 and 10, the positions that had for almost eight years supported a bridge that included a prosthetic #9. (For the uninitiated, teeth 8 and 9 are the "Two Front Teeth" of "All I want for Christmas..." fame.) Dr. Tina's first job in the process, after preparing my chart and examining my x-rays, was to extract both those roots. She eased both out whole, with no cracks or chips, and without injury to my upper jawbone (aka, my skull). This was particularly worthy of note in that # 8 had had a root canal after being killed in a bicycle accident when I was 13, in 1956. It was, no doubt, as brittle as a tooth can get. Dr. Tina then placed "socket preservation" grafts in both the empty tooth sockets, a material made from powdered human bone. The graft is assimilated into one's natural bone structure over the ensuing few months, and forms a solid base into which to screw titanium implants in the place of tooth roots. Tina sutured my gums, and we waited. Months passed. 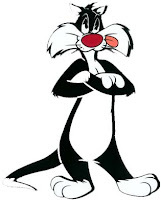 Ralu dubbed me "Sylvester" for my prominent lisp, unavoidable when speaking without my temporary partial denture plate ("flipper"). Valer arrived and excelled in his master's courses. Shirl and I drove over Christmas break to Florida and back with Valer, and in January flew to Panama to visit Melinda Pleşcan at Isla Contadora. Professor Alexandra Mutiu (A3) arrived from Cluj to teach at PSU for the spring semester of 2012. Ralu graduated with her MBA degree, and flew home to Romania. Son Alex McDougall and Yvonne Wolfson set a date to be married. Life went on. After four months of healing, Dr. Tina went to work surgically, opening my gums to drill the holes for the implants, then implanting three tapered titanum tubes, threaded inside and out, to a measured torque. This was a touchy job, as the three implants had to line up and be positioned precisely as indicated following a CAT scan of my head that allowed the prosthetics expert Dr. Aleksandar Vojdanoski to specify the ideal placements. Tina again closed my gums with sutures, and again we waited months for the bone to bond permanently to the implants. Son Jesse and Cally Wheeler got married in Vermont in one of the most perfect weddings ever seen on the planet. Valer moved into Hotel New Hampshire for the summer to help at the house as I rode Rocinante to Alaska and back for six weeks. Enroute, I lost my flipper, and lisped helplessly for three days, only to have the device turn up where I'd put it "for safe keeping," in my little-used right saddlebag, which I'd filled with my tools, spare water, and emergency gasoline (and my false teeth). After I returned from the summer's long ride, Roxana Fera arrived after two years of teaching in China, and moved into Hotel New Hampshire as a new M.Ed. student at Plymouth State. Then I went to India on an ACBSP mission for ten days. The months passed, as life went on. Why did I not simply have another bridge made? The answer is that I have been told, over and over, by dentists and recipients alike, that implants are the best way to replace missing teeth. As I am only 69, and intend to live at least to 100.126 years of age (so as to celebrate Shirl's and my 70th Wedding Anniversary on 6 October, 2043), I decided to invest the time and money to do it right. What's a year-and-a-half of minor inconvenience relative to thirty-one more years of comfortable eating? A no-brainer, if you ask me! Need an Apartment in Cluj for AY 2012-2013? Melinda and Silvio: Casa de Piatra!